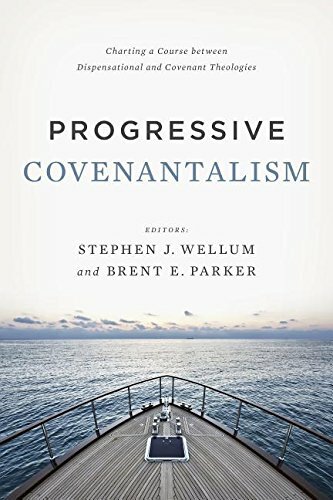 I am nearing the halfway point in my reading of Progressive Covenantalism: Charting a Course between Dispensational and Covenant Theologies. I knew when I requested the book that I would be taking it slowly to allow myself time to dwell on the different essays contained with the volume. The writing does reveal minor differences between the authors and some of these require time just contemplating what has been read. One of the latest chapters that intrigued me was "Covenantal Life with God from Eden to Holy City" by Ardel B. Caneday. The essay looks at historical construals of covenant stipulations. It states at the start that many "represent the Abrahamic covenant and the gospel as unconditional but the Mosaic covenant as conditional. This essay challenges this as too stark and simplistic" (101). So it would seem that Caneday is closer to John Calvin and historical Reformed thought than many today who have drifted further and further into the universal Lutheran law-gospel dichotomy. This essay is one of the most valuable in the book so far. Sep 2 30 ways to save money. The 8th will shock you!